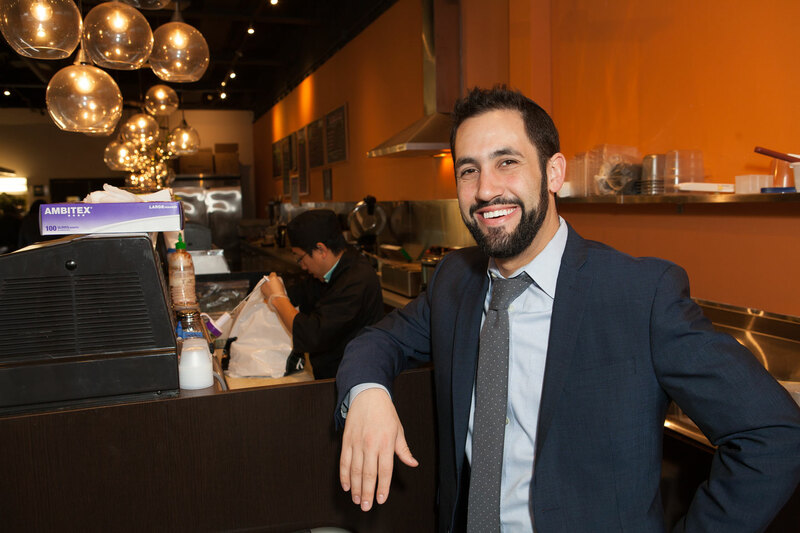 Somewhere between our varied preferences for seven-layer cake, twice-baked rye bread, matzoh balls like mom used to make and handmade gefilte fish, there’s agreement that Jewish food brings us all together. Jews have lived in Detroit for nearly two centuries, first settling in the Ann Arbor-Ypsilanti area for farming, according to Jewish Detroit by Irwin Cohen. Those folks were mostly German; by 1850, Detroit’s population of 21,019 included 60 Jews. 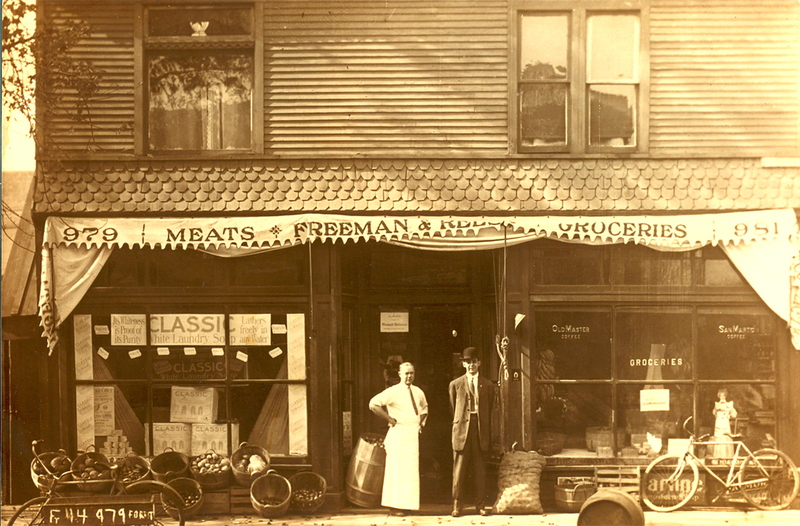 Many early Jewish Detroiters were grocers, like Howard T. Freeman and Thomas F. Reese Jr., of Freeman & Reese groceries on 12th Street. More recently, of course, Hiller’s was a flagship Jewish-owned local grocery chain, and before that, Farmer Jack was a popular Jewish-owned Detroit supermarket chain with more than 100 stores at its peak. 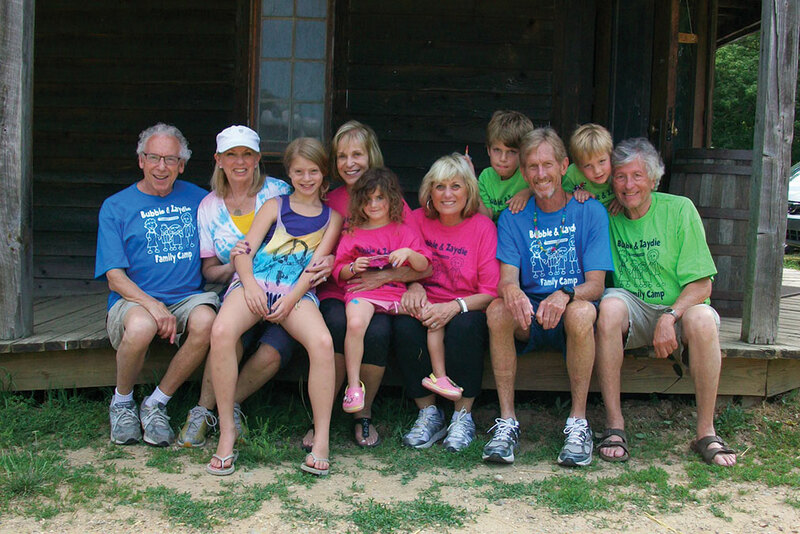 Farmer Jack’s history goes back to 1924, when Tom Borman and Sam Bulak, Jewish-Russian immigrants, opened their first grocery store. By 1945, Borman partnered with his brother Abraham and opened Lucky Stores and Food Fair Markets, which later became Borman Food Stores and then Farmer Jack. Notably, Detroit’s famed rye breads, a product of a double-baking process, set the stage for the way rye bread is made today in delis across Detroit, at Zingerman’s in Ann Arbor and across the country. The method was developed in the 1950s by Jack Goldberg, founder of the Stage Deli in Oak Park. Intent on serving fresh-baked bread, Goldberg partially-baked his rye breads and, just before the lunch rush, finished them in a hot oven. The result was the crackle and crunch of that thick-crusted, steaming hot loaf we know so well. 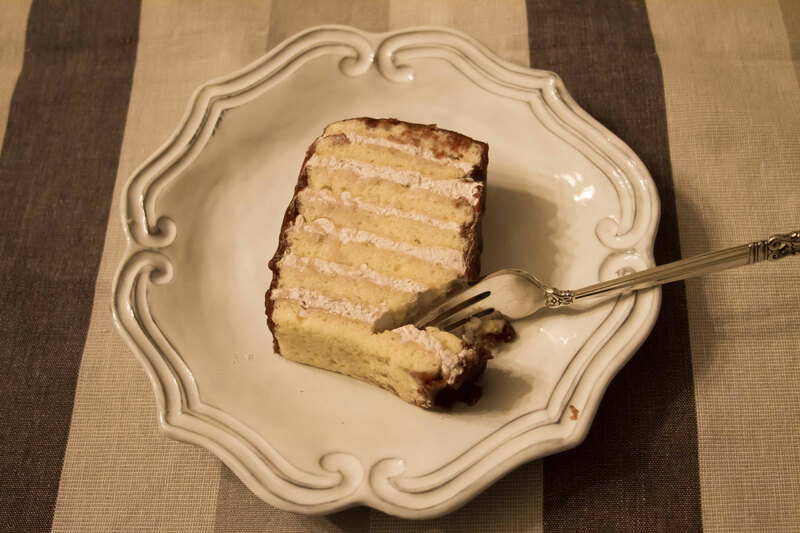 Perhaps because seven-layer cake, which is actually of Hungarian origin (dobostorte), is such a Jewish Detroit favorite, it perfectly symbolizes what Jewish food is: an amalgamation of the details of Jewish observance and the flavors of the lands in which Jews lived and migrated from and to. Gefilte fish was created to have fish on Shabbat and not violate the rules against separating good from bad (bones from edible flesh) or lighting a flame (you can eat it cold). Similarily, challah is a fusion of flavors, shapes and consistency of breads favored in parts of the world where Jews live – our ancestors from Eastern European ate rich, doughy, egg-based loaves, but Sephardic Jews in Middle Eastern locales have a pita-like version of challah. 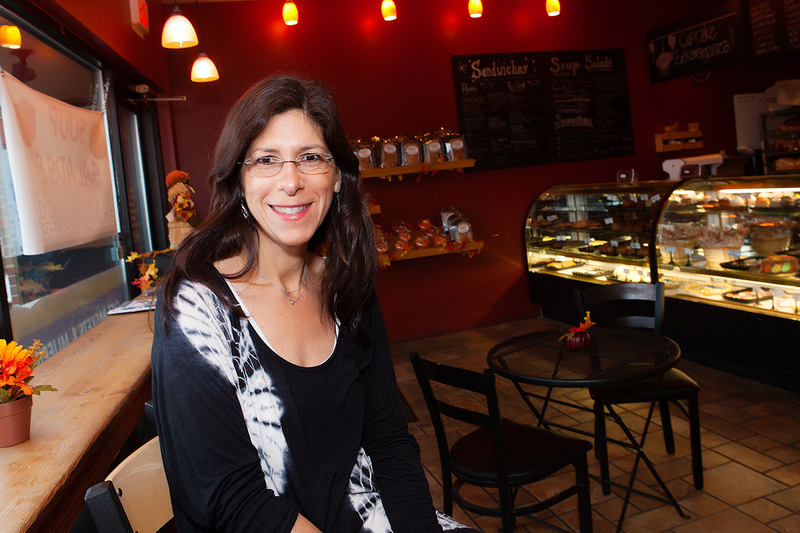 These flavors come together to create her uniquely Detroit Jewish childhood – and created a legacy of flavors that meld locale and heritage that goes back farther than we can imagine. 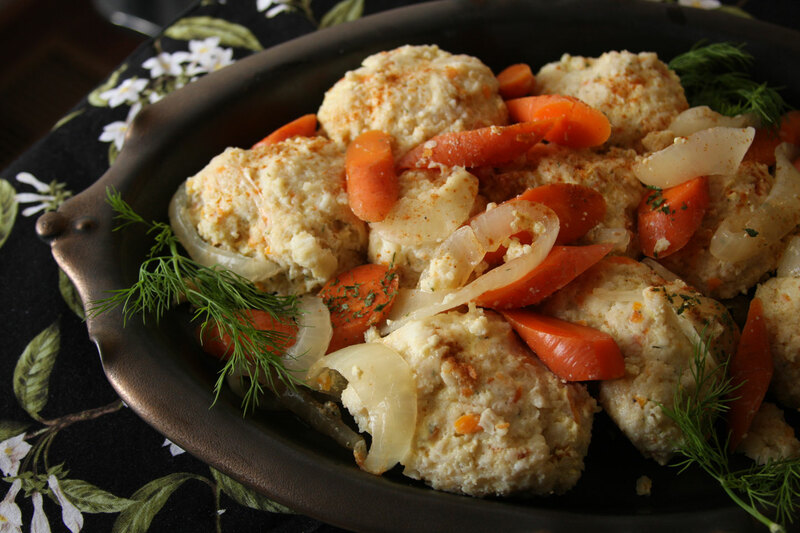 Gefilte Fish: an acquired taste for some, a High Holiday delicacy for most. Start with 13-15 pounds of fish – three-quarters whitefish and one-quarter pickerel, with a little bit of trout thrown in. Doreen keeps her fish simple and low-calorie – only eggs and onions, no matzo meal or carrots in the fish balls. She hand-grinds the fish herself, then chops it in a wooden bowl (90% by hand, followed by more chopping in the Cuisinart). “Add water to it as you chop, to keep it moist,” says Doreen. Mix in 3 cups of onions for a big batch of fish, and one egg per every ground pound of fish. Make a broth to cook it in – in a cheesecloth, combine fish bones and fish heads with onions, tie it up and put it in the pot, covered with water. [Note: Doreen makes three pots of fish to feed a crowd at holidays and cans the rest for future meals.] Add 6-8 carrots to each pot. Cook the broth until it boils, until the mixture inside the cheesecloth is soft. Then put everything but the carrots in a strainer and mash to get all the essence out. Return the essence to the pot. Keep the carrots in the pot. Simmer the fish balls in the broth for 2.5-3 hours. Put mason jars in the dishwasher and when they’re really, really hot, put them in the oven on 150 degrees. Keep them there until you are ready to add finished fish. Boil caps in water and leave them boiling until ready for use. When the fish is finished, keep the stove on low and take one bottle out of the oven at a time. Put the balls in to the jars with tongs very carefully. Keep an aluminum pan underneath so it doesn’t drip. Fill the jars as high as possible with broth and add carrots into the jars, too. Then, take lids out of the boiling water and tighten it as tight as you can by hand. Set aside. Do that until all jars are full. As it cools, once you can handle it, not when it’s completely cool, keep tightening the lid down. When it’s cool enough to pick them up, put the jars in the refrigerator. They will keep for a very long time in the refrigerator. Lynne Golodner (www.lynnegolodner.com) is author of eight books, owner of Your People LLC a local public relations firm.